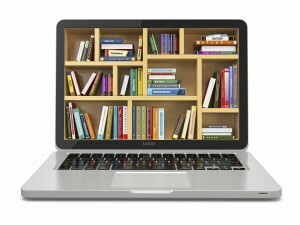 OKLibShare | Discover library news, podcasts, blogs, trainings, grants, resources and more. OKLibShare is your information hub to find information, blogs, and opportunities. Find resources for libraries and librarians, listen to book reviews, explore training workshops, learn how to improve your library website, discover research databases, look for upcoming events, and find out what’s new on the library scene! Brought to you by the Oklahoma Department of Libraries. You still have time to get registered for the Spring Librarian Certification classes! View the class list to get enrolled today! The Oklahoma Department of Libraries has purchased a statewide license from Niche Academy to provide online training to the state’s academic and public libraries on serving homeless patrons. Public library participants in the recent Healthy Minds OK workshops shared the need for such training and assistance. 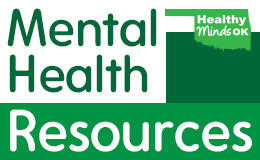 Find resources for mental health/addiction at 2-1-1 Oklahoma and Wellness Now. According to the Oklahoma Department of Mental Health and Substance Abuse Services(ODMHSAS), between 700,000 and 900,000 Oklahomans are experiencing and in need of treatment for brain disease, mental illness, and substance use disorders. Yet the state ranks 46th in the nation for state-sponsored behavioral health services. As Oklahomans search for assistance, many turn to their public libraries to locate services and information. If you have questions about the site or have difficulties accessing any of the pages, please contact us. Hark! What day is this? We hath waited forever and a day! It's #TalkLikeShakespeareDay... Thus the present is the day to speaketh like the days o' fusty. Greet'eth thy neighbor and cater-cousins with the milk of human kindness. Alas enjoyeth this moment to revel in the music of thine own voice. Tis but one day to expresseth the quintessence of this vernacular. Oklahoma Department of Libraries shared a post. In celebration of #EarthDay, here are some nature scenes from the Oklahoma Postcards collection on digitalprairie.ok.gov. Fun facts: Oklahoma has over 200 lakes, 51 State Parks, and 5 National Wildlife Refuges. 24% of Oklahoma is covered by forest. Oklahoma has four mountain ranges: Ouachitas, Arbuckles, Wichitas and the Ozarks. Water covers 1,224 square miles. Two words: Lunar Library! And just in time for Summer Reading. Our theme this year will be "A Universe of Stories!" Sign up will begin in May. More information coming soon. Archivists at the Oklahoma State Archives recently discovered an original 1961 oil painting of Jackie Kennedy by Valerius of Toronto. It is part of the J. Howard and Jeanette Edmondson Collection, which contains photographs, plaques, political cartoons, and other personal memorabilia of Oklahoma’s 16th governor (1959-1963). Here is a U.S. Government Document you may wish to read yourself. Oklahoma Department of Libraries updated their cover photo. Oklahoma Department of Libraries updated their profile picture. Oklahoma Department of Libraries shared a photo. The clock is ticking ⏰, have you submitted your proposal for the Diversity Research Grant? The submission site closes on April 15. Photographer Reinhard Görner has spent almost 10 years photographing the interiors of beautiful libraries across Europe and the United States. Last minute prep for the #OKBookAwards2019... Almost time!!! Hark! What day is this? We hath waited forever and a day! It's #TalkLikeShakespeareDay... Thus the present is the day to speaketh like the days o' fusty. Greet'eth thy neighbor and cater-cousins with the milk of human kindness. Our April newsletter just dropped! Read to learn the results of our #Go4Life in Libraries study, new resources and books to help you get moving in #libraries, news stories you may have missed, and much more! Discover library news, podcasts, blogs, trainings, grants, resources and more. Welcome to OK Lib Share!